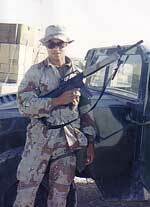 Commendation, Sea Service Deployment Ribbon, Certificate of Achievement, Letter of Recognition, Good Conduct Medal, Southwest Asia Service Medal, Army Service Ribbon, Saudi-Arabia Kuwait Liberation Medal, and the National Defense Service Medal. Steve was Honorably Discharged from the United States Armed Forces 1989, 1991, and 1998. Steve is a current member of the Marine Corps League in Las Vegas, and elected Chaplain; and is also a current member of the Veteran of Foreign Wars (VFW) in Henderson and elected Chaplain. In addition, Steve is the Official Media Spokesman and Chaplain for Veteran In Politics (VIP). Steve Sanson was born in Kingston, Jamaica in September of 1967. He moved to the United States in 1973, making his home in New York City. 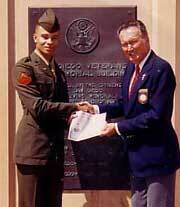 In 1985, he joined the United States Marine Corps and received his United States Citizenship in 1989. At that time, he became registered as an Independent. Steve moved to Nevada in 1995, becoming a member of the Republican Party a few years later. Beginning in 1998, Steve worked for the Frontier Directory Company heading their Credit, Collections, and Legal Department. At that time, Steve formed the Southwest Spring Valley Residents Association (SSVRA) to give a voice to the community in the development of their neighborhood. In 1998, a vacant lot near my home zoned R1 was used to build a gated apartment complex. Subsequently, a fire station was proposed for the area. Steve felt the station would be a nuisance to the neighbors. In order to ensure a good quality of life for the neighborhood, Steve went door to door, and acquired over 80 signatures opposing the project location. While ultimately the petition was unsuccessful, it inspired Steve to become more involved with local government. The unsuccessful petition objected only to the LOCATION, but not the need for a new fire station. In 2003, Steve wrote a book entitled, "How to Collect on your Bad Debt Accounts in Clark County Nevada" to help the community in dealing with their bad debt accounts by simplifying Small Claims court procedures. Steve made his book available in all the Local Libraries, Clark County and UNLV Law Libraries, Nevada Legal Forms, and Local Book Stores. You can learn more about his book at www.debtcollections.us. In 2004, Steve wrote another book entitled, “How to Collect on your Bad Debt Accounts in Northern Nevada” to similarly help the community of Carson City, Washoe County, Reno, and Sparks Nevada. In 2004, he was elected as a member of the Board of Association for the Centennial Point Community in the Northwest, and appointed President. In 2005, Steve campaigned for the same seat and was elected President for two years. In 2005, Steve instructed classes for the Community College of Southern Nevada (CCSN) and instructed seminars for the National Business Institute (NBI) on Small Claims Court. 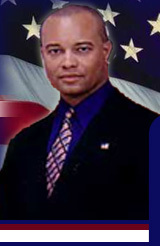 In 2005, Steve ran for Las Vegas City Council Ward 6. In the primary, Steve came in 5th out of 11 candidates. In 2006, Steve was unanimously appointed as Acting Vice President for the Asian Republican Party (ARP). While Steve is an avid supporter of managed growth and respects what developers do for our economy and our community—he believes there is a happy medium and that he can build the bridge between the citizenry and developers. He feels that more Veterans should be involved in their government. Veterans travel to foreign lands, they start new governments and spread democracy. However, often times these individuals return to America and are not involved in their own government. Steve Sanson hopes to be an inspiration to those soldiers, sailors, airmen, marines, and veterans- “I want them to get involved, they are leaders and should remain in that capacity.” Please visit the Veterans In Politics website. Steve is a determined individual who strives for perfection in whatever he does. Whether it is was in the military or in his personal life—he will not settle for mediocrity. He will never pretend to be an expert at everything, but promises to always listen, get the facts, and make the best decisions for his constituents based on their needs and after having listened to their voices. "Devil Dog" has been his nickname since 1985, and it is the nickname he is using on the ballot. "Devil Dog" is a nickname given to all Marines during the Battle for Belleau Wood in 1918. "Devil Dog" means fierce, ambitious, disciplined, able to stand up against all odds, find solutions and not excuses, a leader that will get the job done. Steve believes in the almighty God, and has dedicated his values, morality, and commitment to justice and fairness in His honor.